I have always been a fan of John Waters, from his films, his essays and his documentaries, his newest memoir is no different, I loved it. Carsick documents Waters trip as he hitch hikes from one side of America to the other. The books is broken up into three major sections, the first two are fictional explorations of how his journey could have possibly gone. The first section is the ‘good’ trip where Waters encounters a plethora of weird and wonderful people, the second section is the ‘bad’ trip where he encounters a variety of weird and not so wonderful people. The book ends with the last section which is all about Waters actual journey. These three sections and its mix of fiction and autobiography make the book a fresh and pleasant read. Zak’s Safari is a beautiful picture book that offers up the story of how Zak was conceived. The picture book tells the story of how Zak’s two mothers met, fell in love and then how Zak was conceived and born. The illustrations are stunning and the story is beautiful, I am so glad that I got to be a part of this books production. Originally a Kickstarter campaign, the books is now available at a number of accessible retailer such as Amazon and Book Depository. Tyler has just announced that she is writing another book about a two Father family and I cannot wait! I binge read Think Tank. I started on the first volume and then powered through till the end. I regret nothing. Think Tank is a science based graphic novel that follows the life of prodigy Dr. David Loren and his totally voluntary work for the army. I absolutely loved the character if David and even though the plot gets pretty heavy going theme wise, I was still happy to follow wherever the graphic novel led. I would totally recommend the series to anyone who wants to read a comic of graphic novel but how doesn’t want to have to deal with all the reboots and convoluted stories, Think Tank is a straightforward, brilliant, if a little heart breaking, read. Well done on your progress! 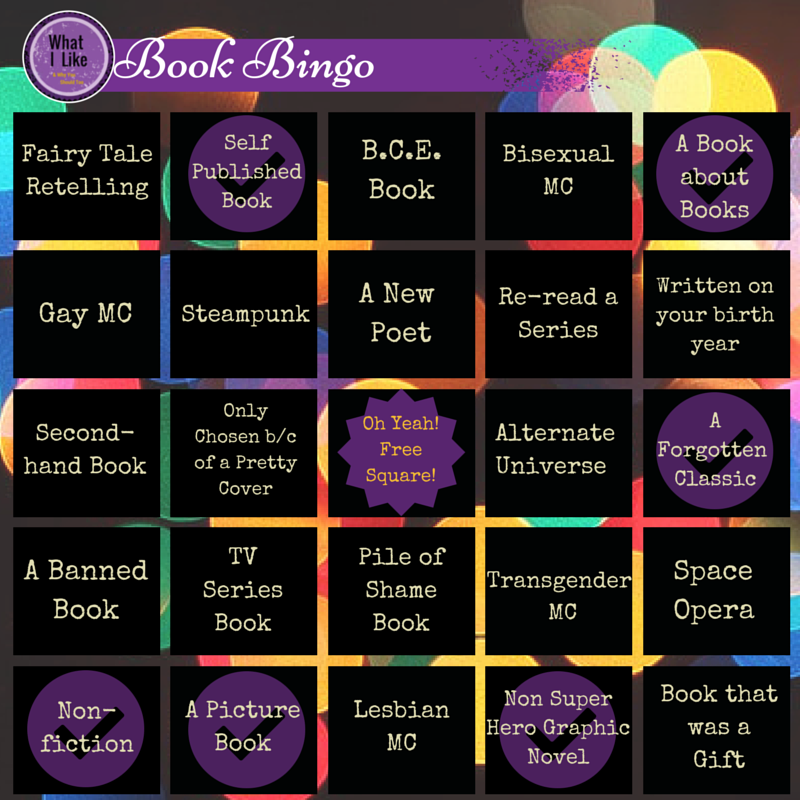 It’s a great thing the bingo card cause you’re right, you read things you may not normally. I’m also finding it fun, hunting down books that fit in the category and are ones that I want to read.